John Germov & Lauren Williams, eds. A Sociology of Food & Nutrition: The Social Appetite, 4th ed. Oxford University Press, 2017. 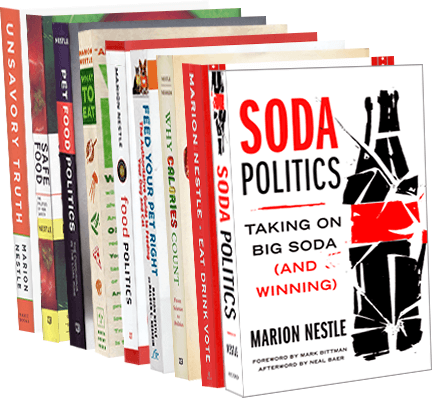 The book is meant to introduce readers to the field of food sociology through themes. It divides chapters by various authors into three sections: the social appetite, the food system, and food culture. to make the sociological study of food relevant to a multidisciplinary readership, particularly those across health, nutrition, and social science disciplines. Our further aim is to reach a broad readership so that those interested in food, nutrition, and wider issues of food production, distribution, and consumption can discover the relevance of studying the social context of food. The chapters plunge into the controversies and come with summaries of the main points, sociological reflections, discussion questions, and ideas for further investigation. Dietary guidelines and food guides, although apparently “science-based,” are created by individuals who serve on government committees and are subject to the same kinds of influences as any other members of society. Because the food industry is the sector of society with the strongest stake in the outcome of dietary guidance, government agencies and committee members are strongly lobbied by industry. Controversy over dietary advice derives from the contradiction between the health-promoting goals of public health and the profit-making goals of food companies. If you are looking for a quick introduction to food sociology, here’s a place to begin. The editors are Australian academics so there are plenty of Australian examples.